Magnificent color and lighting. Macro photography at its best. 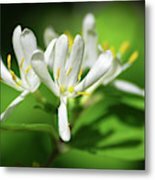 Wild White Honeysuckle Flowers by Christina Rollo. 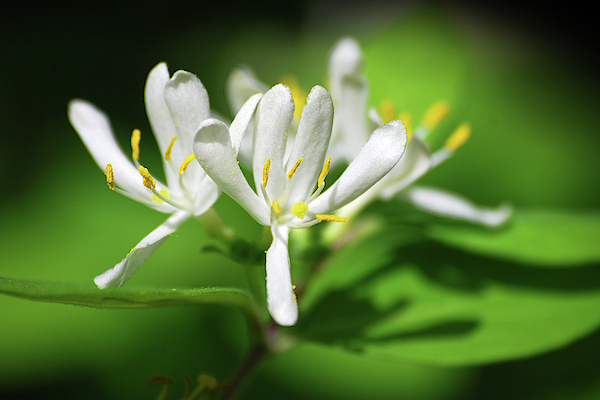 Macro photograph of white Japanese Honeysuckle (Lonicera japonica), growing wild. 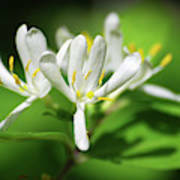 Native to Asia and introduced in the early 1800's to the US as an ornamental plant, Japanese Honeysuckle is now an invasive plant which crowds out native species. SHOP MY COMPLETE COLLECTION AT: www.rollosphotos.com Twitter: ChristinaRollo Instagram: christina.rollo Christina Rollo is a New York based nature photographer who seeks captivating moments. Her passion for animals has led her to take many photos of colorful hummingbirds, birds, animals, nature and landscapes. 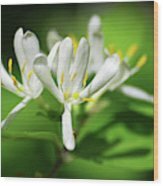 Her fine art collection includes museum quality photo prints, canvas, acrylic, metal, framed art, greeting cards and more. 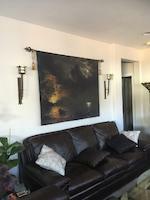 Shop fine art online for home or business, bring a little outdoors in!